Additional testing turned up more samples positive for lead. Many schools across the country have too much lead in their tap water, but most are not even testing for it, according to new research published Wednesday. There’s no coherent policy for lead testing, and half of all U.S. students go to schools in states that do not even bother to have programs for testing drinking water for lead, the study found. And even in those that do test for lead, more than 40 percent of schools turned up at least one sample with higher-than-recommended levels of lead in the water. 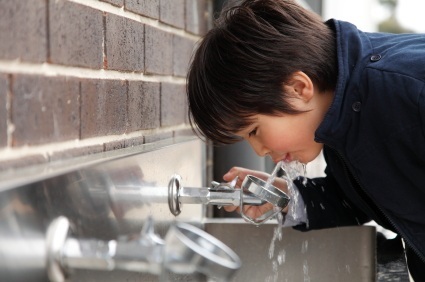 That could translate to millions of kids getting lead in the water they drink at school, the report from the Harvard School of Public Health and the Robert Wood Johnson Foundation found.